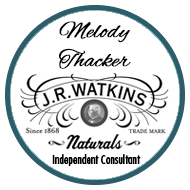 The following Watkins products have been discontinued in both the United States and Canada; Petro-Carbo Salve — Travel Size and Menthol Camphor/Medicated Ointment— Travel Size. If you have any of these small sized tins, hang on to them so you can refill them from the regular tins. Of coarse you can still get these two popular products in the full sized tin! You can shop for these trusted home remedies in our safe, secure Watkins Online US store or the Watkins Canada store or request your free Watkins full product catalog and order by mail or phone. We accept credit and debit cards: check or money order!